Burnie Arts Council Inc's involvement with Waterlines was a project by Janine Morris and Pam Thorne called 92% water. 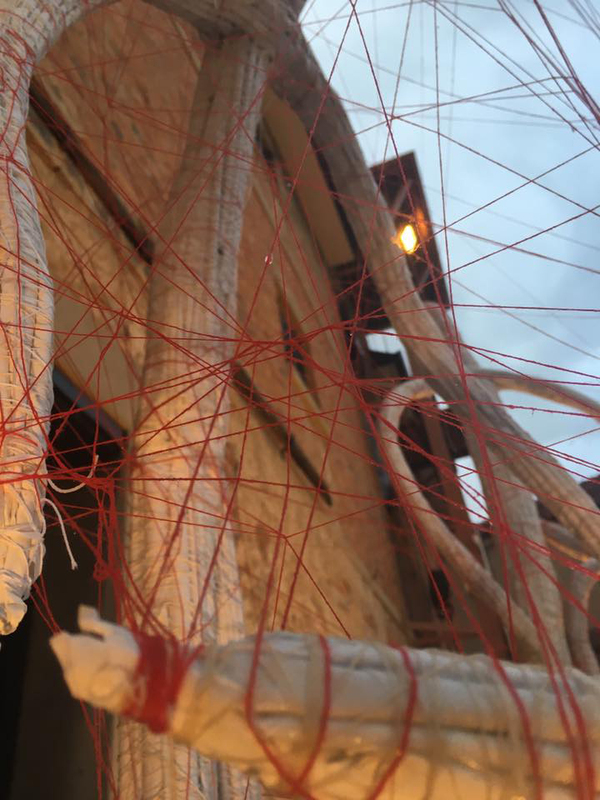 Utilising paper, together with thread, Burnie Arts Council Inc have created a figurative sculpture, representing the heart of Burnie - the beat that carries connected messages through every individual, family, business and industry. 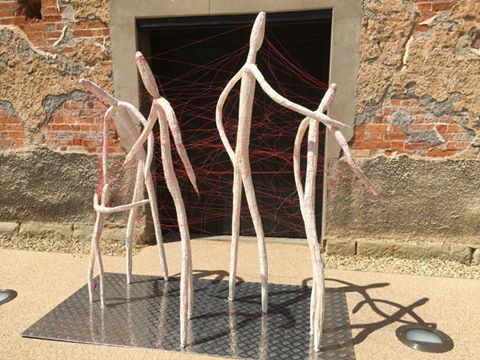 Materials used included paper from the old Burnie Paper Mill, aluminium, armature, cotton thread, paste and glue. The sculpture was exhibited at the Waterlines exhibition which opened at the Tasmanian Museum and Art Gallery on the 21st of October 2016. In addition, they ran a community project during the 2016 Burnie Shines. For 5 days, Janine and Pam worked with the public in the Plaza Arcade in Burnie to create a sculpture using paper, thread and tape. Filmmaker Andy Del Veccio documented 92% Water and the stories associated with it in this short film. 92% Water received assistance from Tasmanian Regional Arts and Burnie City Council.